My brother Jim was recently in Connecticut to visit with all of us. Sherree and I got to spend a little time with him and the rest of my family. We had Jim, my other brother Chris, my parents, and Jim's friend Keith over for the day last Sunday. We sort of treated that like our Thanksgiving, making our traditional cornish game hens. 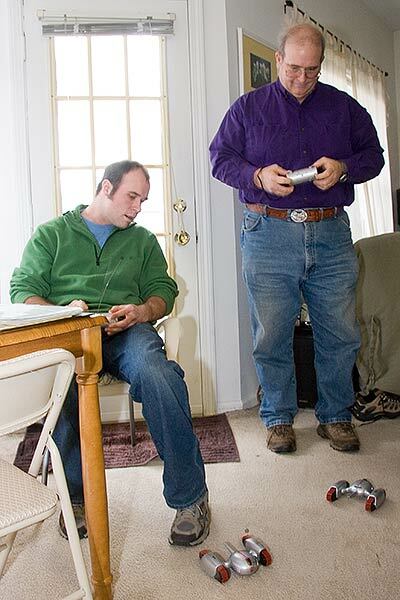 We also played Xbox, and introduced Jim to the R/C shock tanks Chris gave me for my birthday--he had never tried them before! 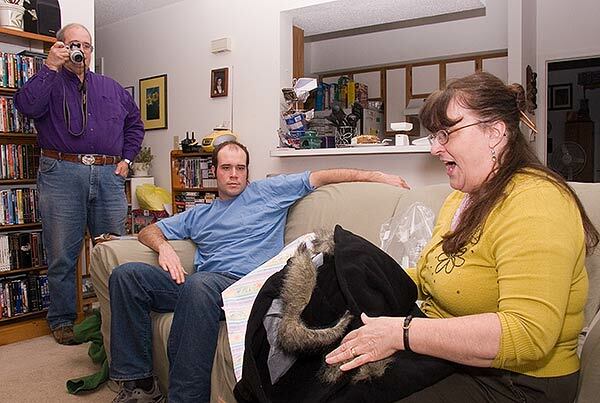 Afterward we celebrated my Mom's birthday (Chris, Sherree and I went together for a coat she wanted). 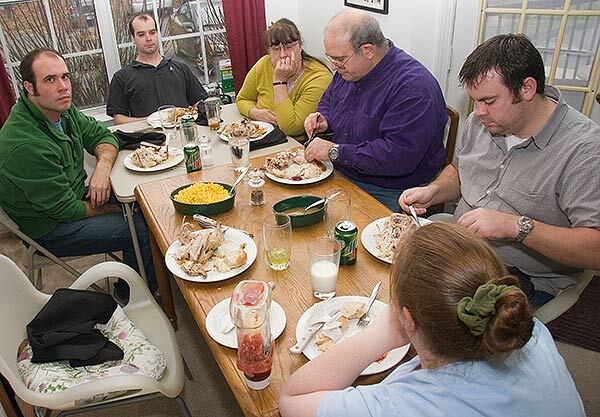 Sherree and I went to my parents for Thanksgiving. 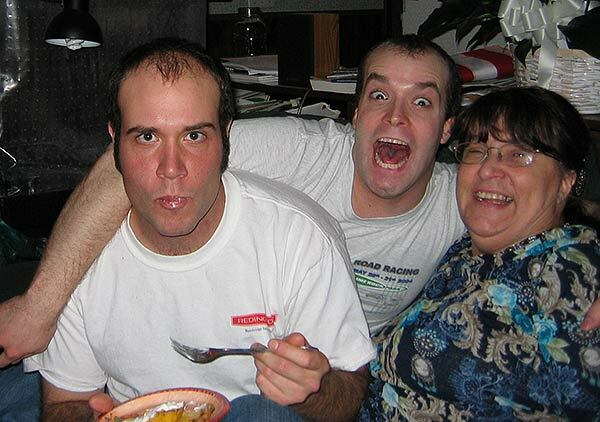 We got to see Jim a bit more while eating Mom's yummy dinner. 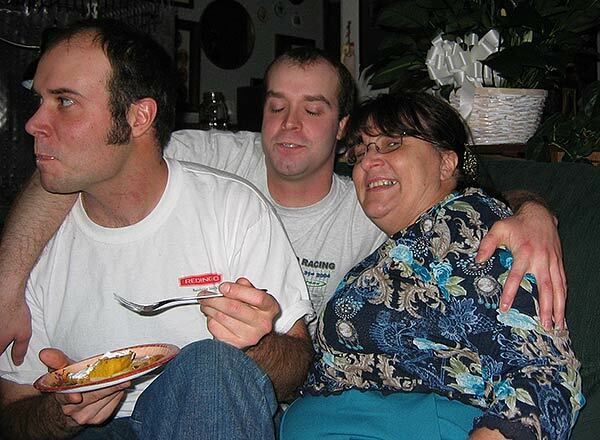 Later on, Jim had some pie and decided to squish onto the loveseat between my Mom and Chris. Hilarity ensued.